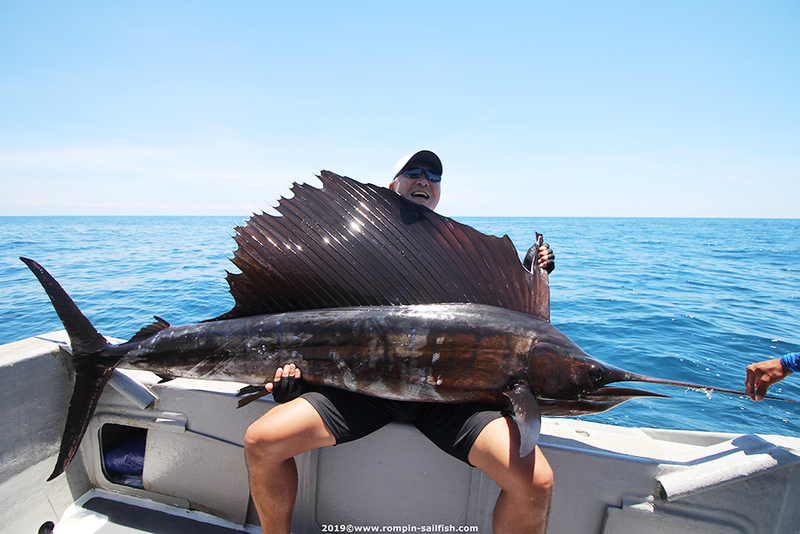 The seas east of Kuala Rompin, Malaysia are home to one of the largest aggregation of Sailfish found anywhere in the world. 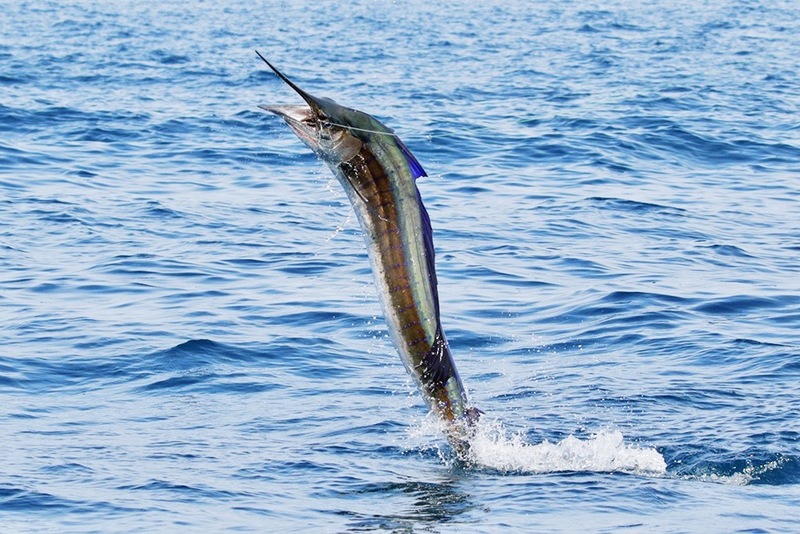 Tens of thousands of Sailfish feed on massive schools of baitfish between March and November. Calm seas, experienced crews and quality equipment have made Rompin a world class fishery. There are a number of charter boats in Rompin but few are as professionally crewed and equipped as Magic Billfish Charters fleet. Our boats, skippered by experienced English-speaking crew, have the best catch rates of the local charter fleet. 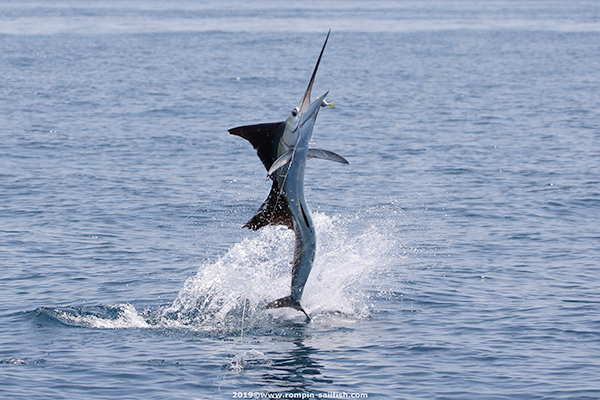 Our crews work hard to keep our boats close to the schools of Sailfish and follow the migration of these majestic fish as they move along the Rompin coast. During the Sailfish season our boats are the most heavily booked boats in Rompin, this gives us day-to-day knowledge as to where the baitfish schools and Sailfish are located and saves us time in finding the fish for you. 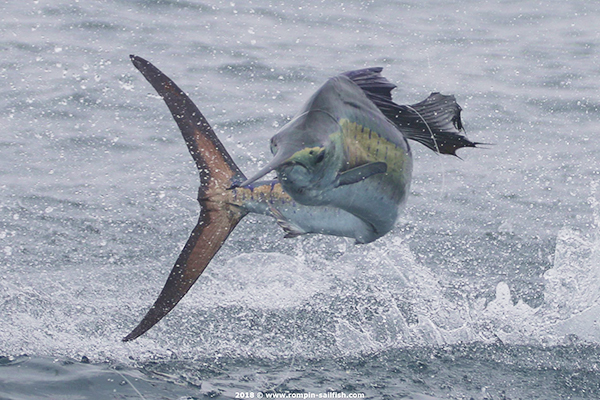 Multiple hook-ups and double figure catches in a single day are a reality during the peak season. 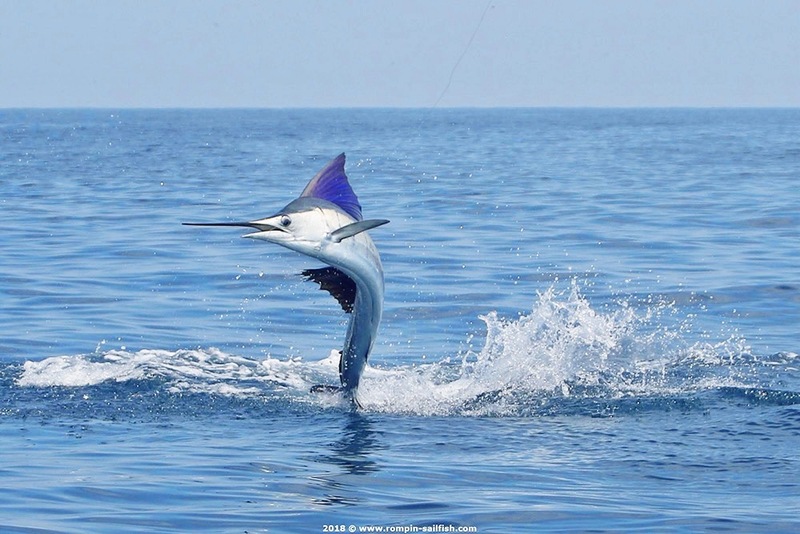 The areas we fish are close to port which maximizes your time spent fishing. 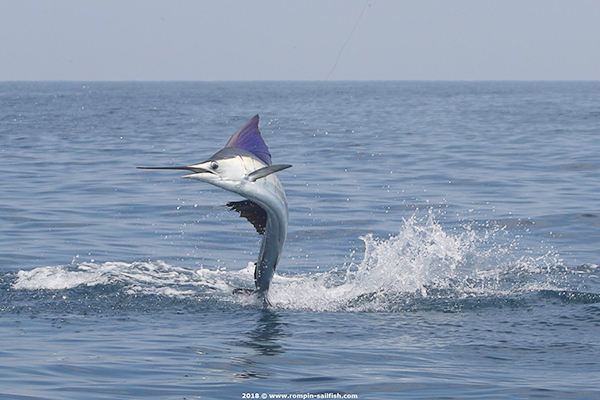 Magic Billfish Charters take sailfishing to another level with a personal and professional approach to the best charter fishing off the coast of Malaysia. The waters off the coast from Rompin are an unique Asian fishery. A strict Catch-and-Release policy ensures quality fishing and abundant catches. Anglers here target Sailfish using a variety of techniques to include live baiting, skip baiting, casting surface lures and fly fishing. 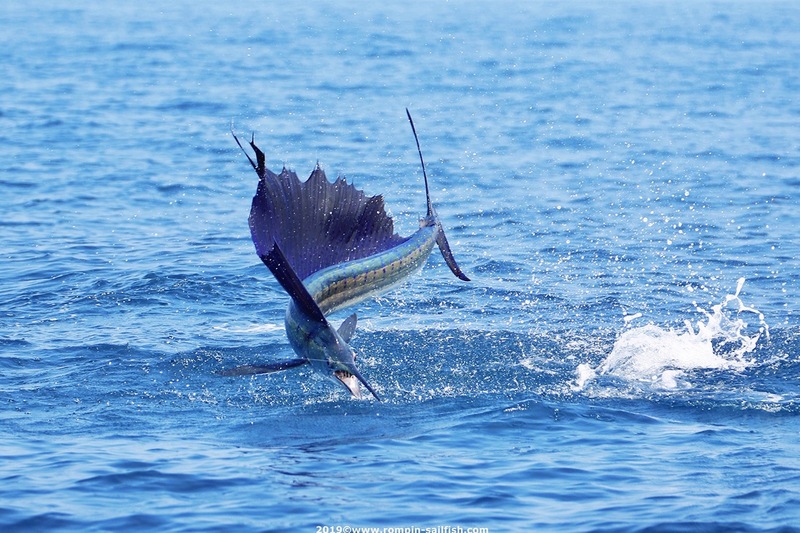 Slow trolling, casting and drifting live bait are the preferred fishing methods for Sailfish and produce spectacular action on light and medium tackle. 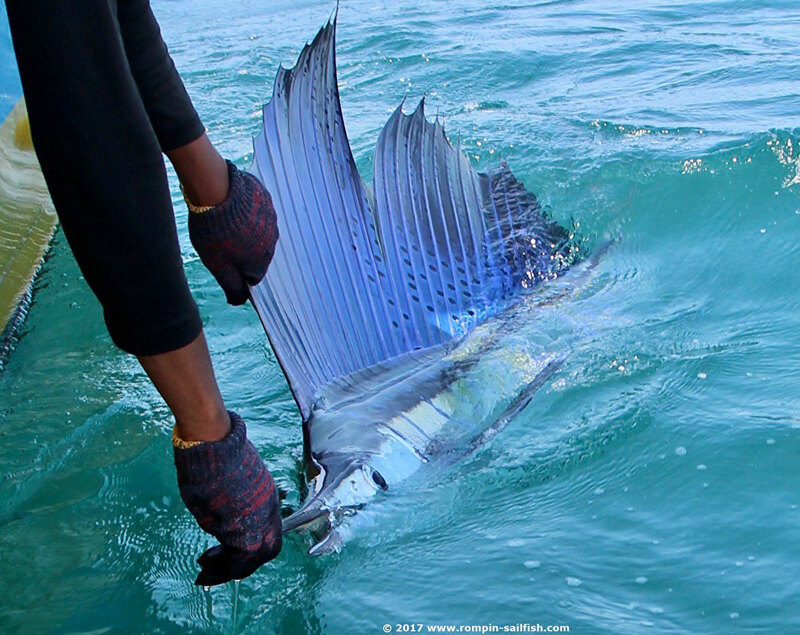 The waters off Rompin are world renowned for flyfisherman who wish to experience landing a Sailfish on a flyrod. We troll teasers to raise the Sails to the fly. Our hook-less teasers are effective in making the Sails aggressive and bringing them to within the casting range of our guests. Oftentimes the Sails become so aggressive that they can be teased all the way to the boat. The number of raised Sailfish per day here, will probably be higher than anywhere else in the world. Sailfishing season in Rompin begins in March and ends last week of October. The Northeast monsoon season runs from mid-November to March and is not suitable for fishing due to strong winds and choppy water conditions, during this time we fish Palau Perak out of Penang. During the fishing season the seas are normally calm making our charter trips comfortable for our guests. 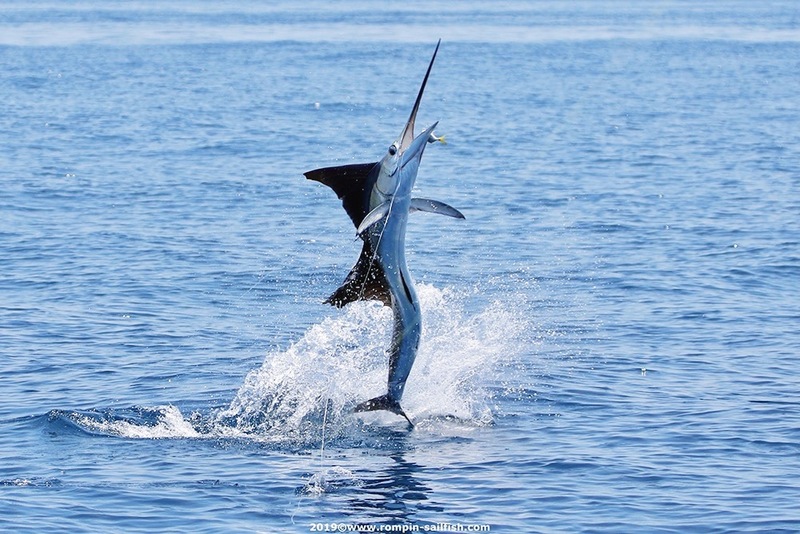 Magic Billfish Charters will supply light and medium live-bait fishing, trolling, popper (spin), bottom and fly fishing tackle to include TFO Lefty Kreh Bluewater Series Sailfish fly rods, Danielsson Control Infinity anti-reverse, state of the art saltwater fly fishing reels, Sailfish fly fishing teasers and custom tied Sailfish tube flies with Cam Sigler popper heads, circle and J-hooks, surface lures, leaders, sabiki feathers, sinkers, Sampo Ball Bearing Snap Swivels, pliers and rod belts at no extra cost, everything is provided so you don't need to bring anything. The Rods and Reels we use are quality brands…. Shimano, Daiwa, Penn and Tiburon. All our reels are loaded with fresh Suffix mono or braid. We maintain our fishing equipment to the highest standards. The other fish species living in our pristine waters include Dorado, Cobia, Narrowbarred Spanish Mackerel, Barracuda, Queenfish, Giant Trevally, Golden Trevally, Threadfin/Diamond Trevally, Spotted Trevally, Garfish, Tripletail, Tuskfish, Snappers, Groupers and juvenile Black Marlin. In addition to sailfish, we expect to catch a variety of these species during your stay in Rompin. During your charter with us we recommend staying at the Rompin Beach Resort. 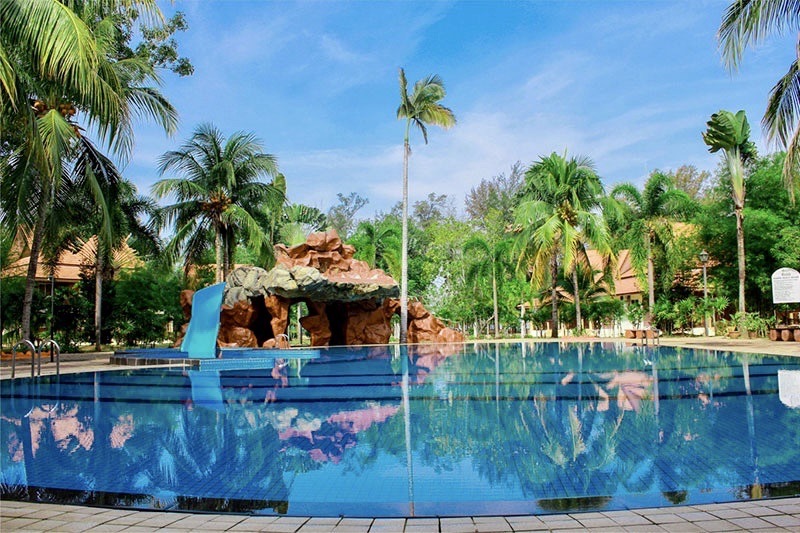 Rompin Beach Resort has its own private beach, and got good facilities and welcoming staff to insure that your stay with us will be enjoyable and comfortable. The resort is ideal for anglers and has a restaurant offering international and local cuisine. When you are not fishing you can relax with a drink poolside. We also got a fully-air-conditioned 4 bed room homestay with wifi, big screen TV and a nice living room available close to the city center. If you plan to bring 2 or more friends or family, on your charter with us, home stays are an economical and popular option to hotel accommodations. 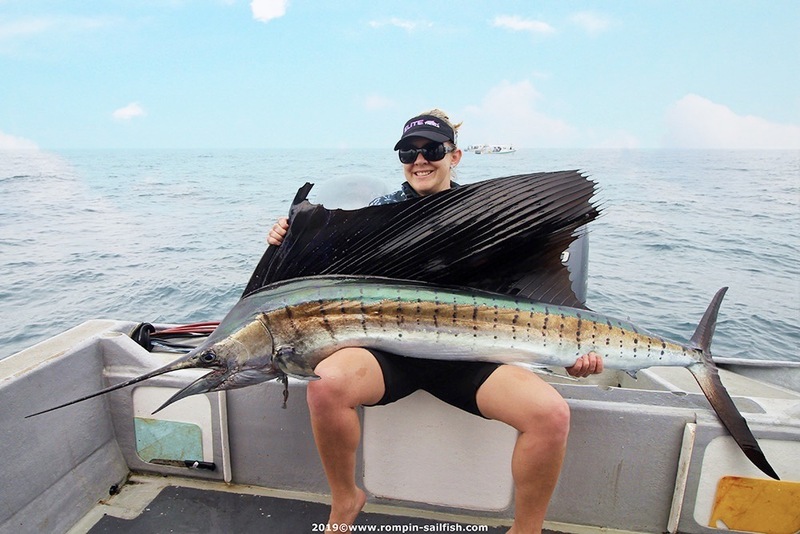 Magic Billfish Charters also offer charter departures from the Tioman Islands which are known for their beautiful beaches and world class snorkelling and diving. For non-fishing family members Tioman Island is a great place to stay while you are out battling the Sails. 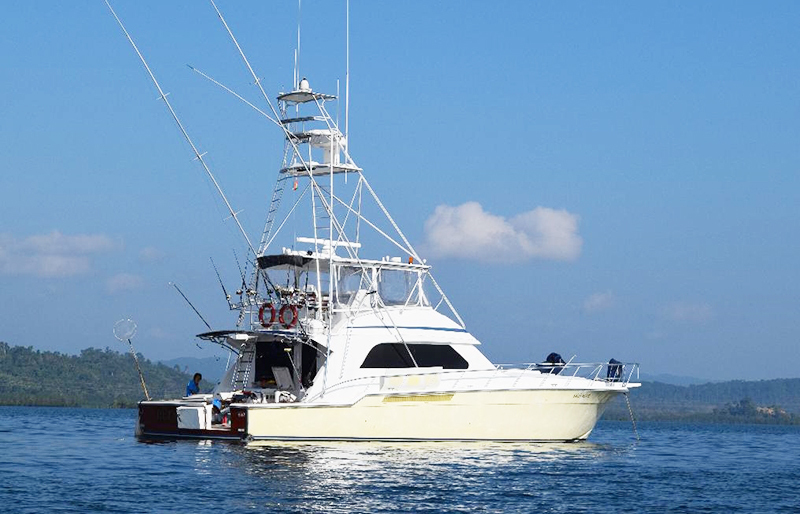 South of Tioman Island, at Palau Aur, there is good fishing for bigger Black Marlin, Dorado and King Mackerel. The boats we use to fish these waters are Malaysian built and made out of fibreglass, 34-36ft. in length and powered by new Suzuki and Yamaha 4 stroke low emission outboard engines. They are fast and stable with ample sunshade. GPS navigation systems, VHF radios, Fish finders, livebait tanks, life jackets, and first aid kits are standard on all boats and crews are fully licensed to operate in Malaysian waters. We also got a fully equipped luxorious Bertram 60 available for day trips and multi day charters from Tioman Island.